Tom Ward is a musician, composer and computer programmer from Yorkshire, currently based in London. His primary instrument is the saxophone, but in recent years he has also been involved in a variety of projects playing clarinets and flute. 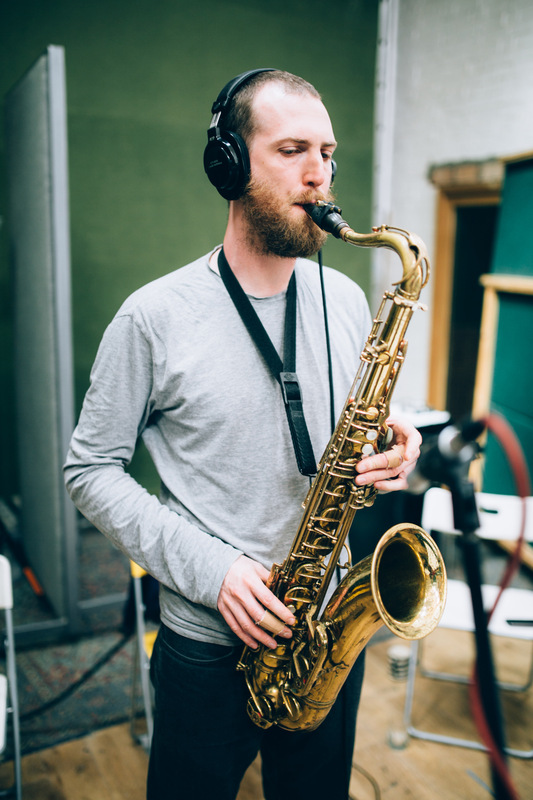 Tom leads the Madwort Saxophone Quartet, formed to play his compositions with three other exciting young saxophonists: Chris Williams (Led Bib, Let Spin); Cath Roberts (Sloth Racket, LUME) and Andrew Woolf (Button Band, Alvorado). Their recent debut album “Live at Hundred Years Gallery” on Efpi Records received a four-star review from John Fordham in the Guardian. 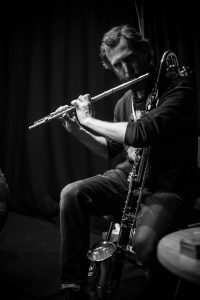 Tom also explores his compositions with other ensembles, most recently Madwort’s Menagerie – a sextet comprising flute, bass clarinet, trumpet, trombone, cello and double-bass. Tom has a strong interest in freely improvised music. 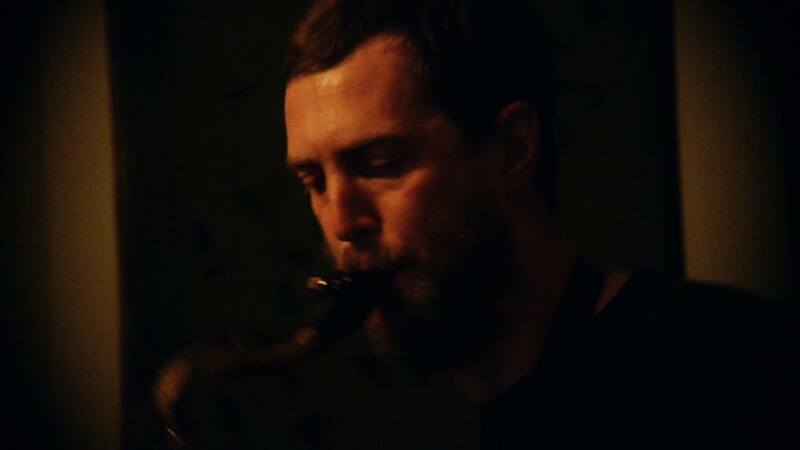 His collaborative group Ma/ti/om featuring Swedish percussionist Matilda Rolfsson and double bassist Tim Fairhall released their first album “Ashes” on Raw Tonk Records in 2016. They subsequently toured the UK and Scandinavian early 2017, leading to their second Raw Tonk release “Live in London” in Oct 2017. He is also establishing a working duo partnership with Manchester-based keyboard player Adam Fairhall, which will tour in September 2018. Tom is also part of the collaboration that runs BRÅK, a regular free improv night in a South London homebrew shop. 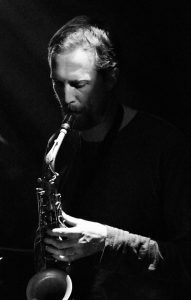 Tom is a regular member of anarchic London big band Overground Collective, as well as performing across Europe, Canada and the US with Beats & Pieces Big Band, Cath Robert’s Favourite Animals, Article XI, the London Jazz Orchestra and Yazz Ahmed’s Family Hafla. He was a member of the Peter Whittingham award-winning ensemble Porpoise Corpus, Combustible Alarms Big Band and Quadraceratops.